The report gives information on the gross budget of each council - the total cost of the councils' services - taken from the councils' official 2017-18 statement of accounts; the amount each council held in 'unallocated' General Fund and Housing Revenue Account reserves as of 31st March 2018; the level of earmarked but largely useable reserves for the two accounts; and lastly the capital receipts reserves held. Figures for major repairs reserves and unapplied capital grants, also part of a council's 'useable reserves' (and which are sometimes quite substantial), have not been collated in the TUSC series so the 'financial firepower' of the listed councils is actually understated. Local councils administer a range of services - from housing, education, adult and children's social services and libraries, to youth provision, leisure, public health, local welfare assistance, planning and regeneration. The Labour-led councils control combined budgets of £78.83 billion, and hold around £9.33bn in general fund reserves, £1.91bn in housing reserves, and £2.97bn useable capital receipts reserves. As TUSC has argued in the previous reports, these figures give a glimpse of the substantial resources of the 'local state' under the control of the Labour Party. Who could plausibly say that they are not a potential counter-power to the Tory government? Their combined spending power is greater than the GDP of nine EU countries and the state budgets of 16! Above all the report shows that no Labour-led council has insufficient reserves that it could not use to generate the resources for a no cuts budget for 2019-20. 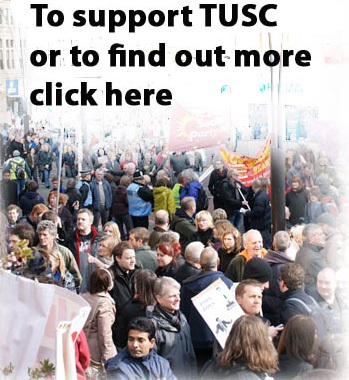 The figures confirm, in other words, the central theme of TUSC's policy platform that councils - and councillors - have a choice. But how far Labour still needs to be transformed to be an anti-austerity party in action as well as words is also revealed by the report. The 21 Labour-led councils in London, for example, continued to cut council spending in the 2017-2018 financial year while retaining almost exactly the same level of general fund reserves as they did the previous year. Meanwhile their combined capital receipts' reserves, of assets sold by councils, rose by £118 million. In Wales the nine Labour-led councils increased their general fund reserves by over 4% (£26.8m) over the same period. The point with which we concluded our report last year remains as valid now as it did then. A councillors' revolt could stop the Tory cuts and add an almost irresistible pressure on the May government to go. Councillors who are not prepared to fight, however, should make way for those that will.